Personal finance can be a confusing topic, and it can be difficult to understand what to know about personal loans when applying. How long does it take to get approved for a personal loan? How high or low are the interest rates? Do you need collateral for a personal loan? How about a perfect credit score? Put your mind at ease about all these questions and more, as we break down the 10 key things you need to know about personal loans before applying. 1. Online lenders are practical options to get a personal loan. With the progress in cyber security and Internet banking technology, online lenders have become reliable sources for loans, and may have more favorable rates. While physical bank branches are still in the business of generating loans, they’re no longer the only option. 2. All personal loan offers are not the same. Not every loan offer is the same. The personal loan industry is expanding, and that’s both good and bad for borrowers. It’s good because borrowers have more options to choose the right lender for their financial situation. It’s bad because more unreliable sources for loans can pop up too. Do your research, and make sure you’re working with a reputable lender like Discover Personal Loans. Consider all loan factors in your loan offer as well, paying close attention to whether a lender charges origination fees or closing costs, for example, or if there are pre-payment penalties or not. 3. You don’t need a perfect credit score to get a personal loan. You don’t need a perfect credit score to secure a loan. People with various credit scores secure personal loans every day. A good credit score, however, could get you better rates because a good credit score can be an indication of your ability to pay back the loan. 4. You don’t need collateral to apply for, or receive, a personal loan. Personal loans are primarily unsecured loans, which means they don’t require you to put up collateral, such as your home or automobile. 5. Personal loans come with comparably low interest rates. Many potential borrowers incorrectly assume that personal loans come with high interest rates. The truth is personal loans can have relatively low interest rates. Discover Personal Loans offers rates as low as 6.99% up to 24.99% APR. 6. Personal loans don’t always come with expensive fees. A personal loan doesn’t always come with origination fees or closing costs. In fact, Discover Personal Loans has no origination fees or closing costs, while other lenders do. With a personal loan from Discover, as long as you pay on time, there are no additional fees. 7. The approval process for personal loans can be quick. It’s a good idea to gather all of the required information before beginning your personal loan application. Once you’ve submitted your application, the process often moves very quickly. You could get a decision and have the funds sent in as early as the next business day after acceptance. 8. You can pay off a personal loan in a fixed time period. Personal loans are designed to help borrowers consolidate and pay off debts in a clear timeframe that works for your budget. Most personal loans can be paid off between 36 and 84 months, depending on your interest rate and the size of your monthly payment. The fixed rates also make your monthly payments predictable, giving you a clear payoff date if you stick with those steady payments. Even better, some lenders offer no pre-payment penalties, which means you can pay off the loan earlier than planned without any extra fees. 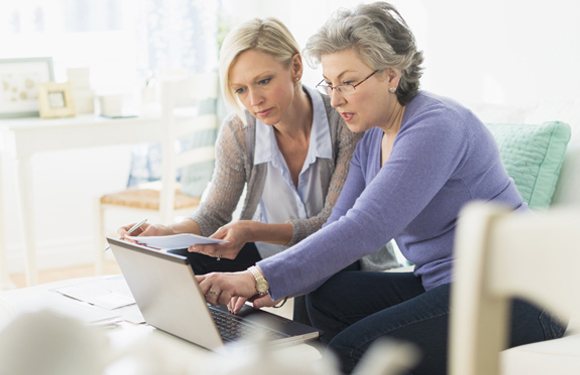 Talk with your lender to find a repayment schedule that works best for you. 9. You can get a personal loan even if you’ve already taken out a separate loan. If you’ve already taken out a loan, this does not exclude you from applying for another loan. In fact, there are personal loans designed to help you pay off other loans. A debt consolidation loan is a strategic way of combining debts into a more convenient and affordable solution. 10. It’s wise to only borrow what you need. It can be tempting to ask for more cash than you really need, but there is a cost to borrowing—it’s called interest. Stick to your plan. Get a personal loan with a fixed rate to help you accomplish your financial goals. These 10 tips should serve as quick indicators of what to know about personal loans, but there’s still lots more to learn. Read more in our personal loan options section for an even deeper understanding.